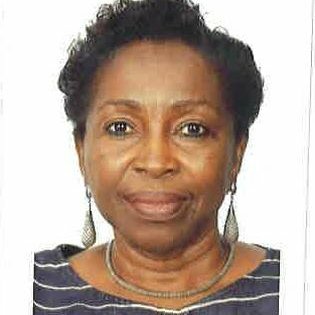 Mrs Chinwe Ezenwa, the Managing Director of Ocean Serve and Logistics, on Saturday said the maritime industry challenge could be blamed on the lack of good policy to drive the industry. Ezenwa said this at the 8th Anniversary and one-day Transport Development Symposium and Transport Development Excellence Award, held in Lagos, organised by the Quest Media Group. Ezenwa said that it was sad and discouraging that key stakeholders did not follow communiqués arrived at whenever issues were deliberated on transport development. “Each time issues are deliberated and communiqués issued on water transport development, the literal states come up with different arguments. “It is however good that Public Private Partnership is making it possible for private sector to run water taxis,” she said. She bemoaned the frequent boat mishap that claims people’s lives, and called on ministry officials to adopt hands-on approach to transport development. A former legislator and Chairman, House Ad-hoc Committee on Maritime Security, Dr West Idahosa, called for greater advocacy for vibrant maritime policies to drive the industry. He said that it was the only way to enable indigenous participants in the maritime industry benefit. “Nigerians should watch closely and speak up on issues of the oversight function activities of the maritime committee when they are constituted. “Believe it, countries that have succeeded all have strong cabotage background,” Idahosa said. Capt. Waredi Enisuoh, a Director of Shipping Development with the Nigerian Maritime Administration and Safety Agency, blamed investors in the industry for not investing in training. He said that Nigeria needed to work on its maintenance resources as the value of ships and aircraft dropped once the country’s flag was hoisted on it.